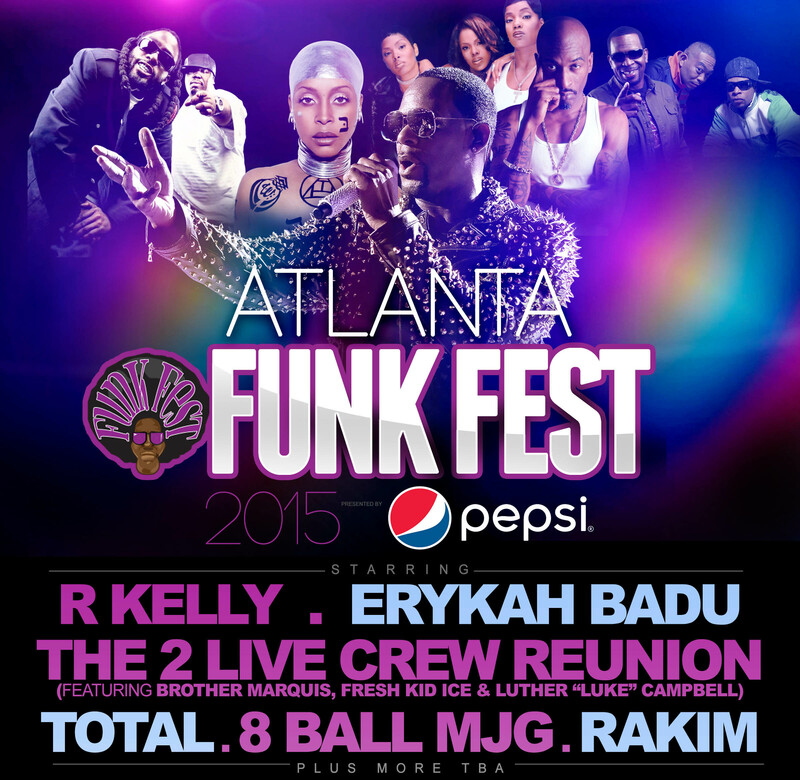 The long-awaited Funk Fest returns to Wolf Creek Amphitheater this weekend with a star-studded lineup to a sold out crowd! We know you’re excited for this weekend’s funky festivities, so we’ve put together a quick list of things you should know before you go. Tickets are officially SOLD OUT to both shows. Please note you must be 18 years of age or older to attend this event. There are no refunds or exchanges available for these tickets. This event WILL take place rain or shine, so come prepared! Wolf Creek Amphitheater is conveniently located in the South Fulton area of Atlanta, between Merk Road and Enon, just minutes from the Hartsfield-Jackson Atlanta airport and the Camp Creek Marketplace. The gates will open two hours prior to showtime each night. Friday: Gates will open at 6PM ET, with showtime happening at 8PM ET. Saturday: Gates will open at 3PM ET, with showtime happening at 5PM ET. Free parking is available first come, first serve starting 2 hours before the show. Carpooling encouraged! *Shuttle service is available for transit to/from the overflow lots. Oversized coolers are not allowed on shuttles or inside of the amphitheater. Please note there are no public transportation stops near the venue. you need to get a concert for the 3rd of July some people have family reunions on the 4th of July and would love to attend on the third of july. My ticket cost almost 160.00 but only have one day on them do i get in both days with that one ticket? What kind of ticket was it? Reserved, VIP, General Admission? You can also give our customer service a call at 404-897-2388 and they can help you out directly.